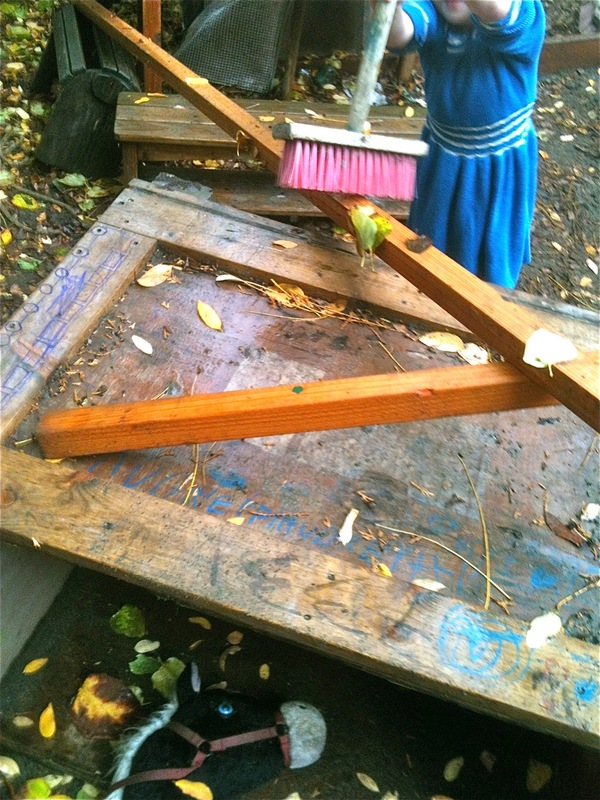 I've written before about the planks that are among the loose parts in our outdoor space. 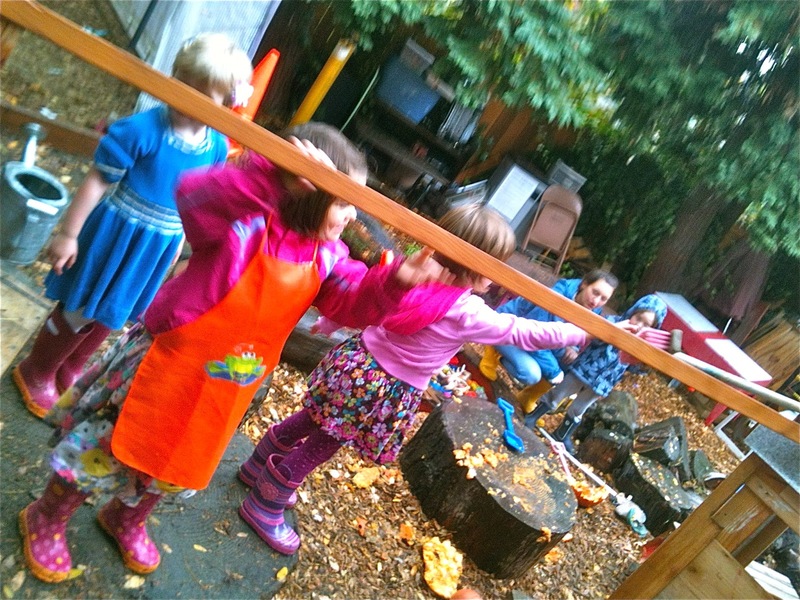 Lately, we've added a couple of 10-foot long 2"X2" pieces of lumber that the kids have been shifting around, trying to figure out how they want to use them. Last week Ce and Cl wrangled one of them over to the new playhouse. They schemed between themselves for some time before finally angling it into a precarious position with one end perched on the edge of the upper level of the playhouse and the other on the ground. 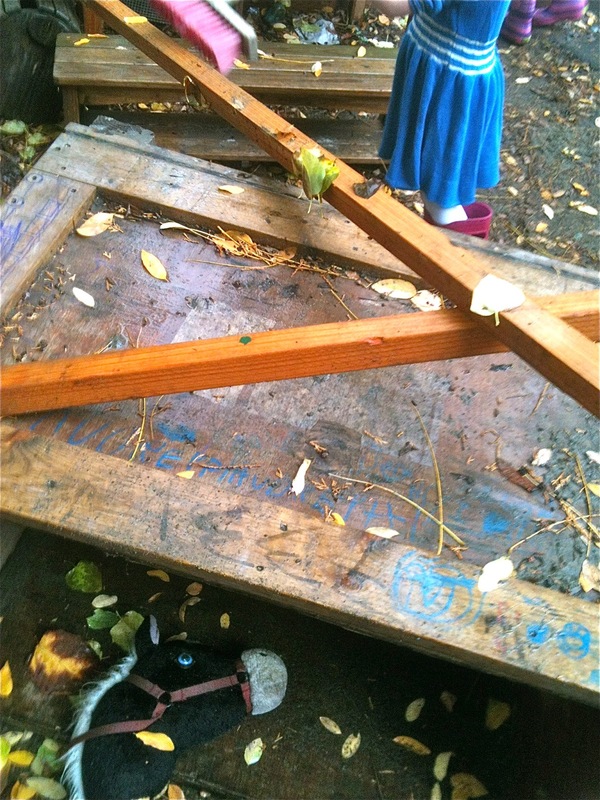 I think the plan was to then try to climb up it into the playhouse. Once in place, it was clearly not a good idea, not just from my perspective, but also from that of the girls, who stood, heads together, discussing their next move. 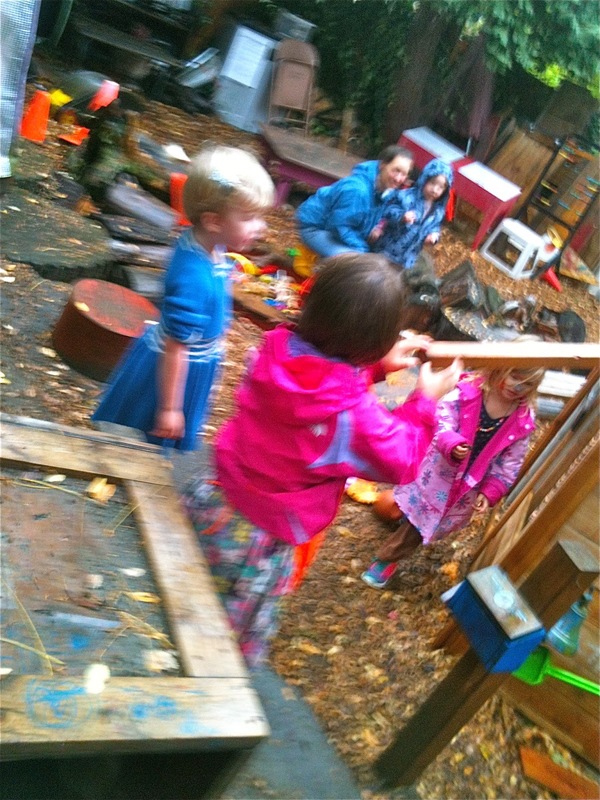 As they consulted, F came upon their construction, surveyed it, then lifted the lower end and began attempting to push the whole thing up into the playhouse. "Hey! We were using that!" I'm pretty sure F heard them, but was too engaged in her effort to respond. A little louder, "We were using that!" This time F turned to the girls and said, smiling, attempting to diffuse their irritation, "I'm helping you." The two girls have known one another a long time. They took a moment to look at each other as if for confirmation that they were still in agreement, then Cl said, "We want it on the ground." F answered, her smile disappearing from her face as she began to gird herself for conflict, "But, I want to put it up there." Cl was firm, lowering her eyebrows, making her face look angry even though I don't think she was really feeling it, "We want it on the ground. There is another one right over there that you can use." She pointed to the second 2"X2" on the ground some feet away. F ignored her, still attempting to push the whole thing upstairs. Cl and Ce stood watching F for a moment, before Ce went over to the second 2"X2", dragged it closer and said, "F, you can use this one." This caused F to stop her efforts. She examined the wood with a skeptical frown, then said, defiantly, "I don't want that one, it's dirty," referring to a few wet leaves that were stuck to it. 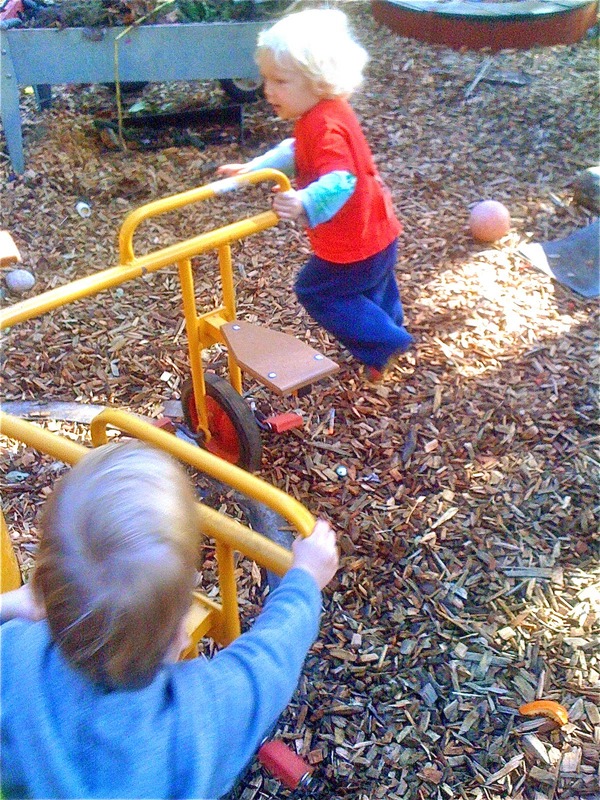 Without a word, Ce picked up a broom and swept the leaves away. Everyone stood in silence for a minute, deciding upon responses. Finally, F said, "Thank you!" And everyone went back to their projects. This is how to solve problems. 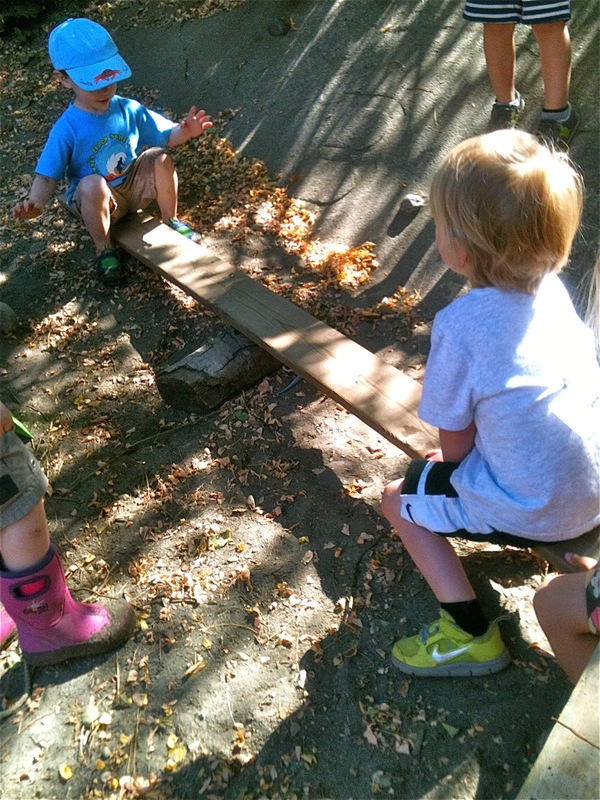 Everyone wants high-quality preschool for all, but the preschools envisioned by Seattle Proposition 1B are emphatically not “high-quality,” at least not if judged by what professional early childhood educators know about what young children need and how they learn. 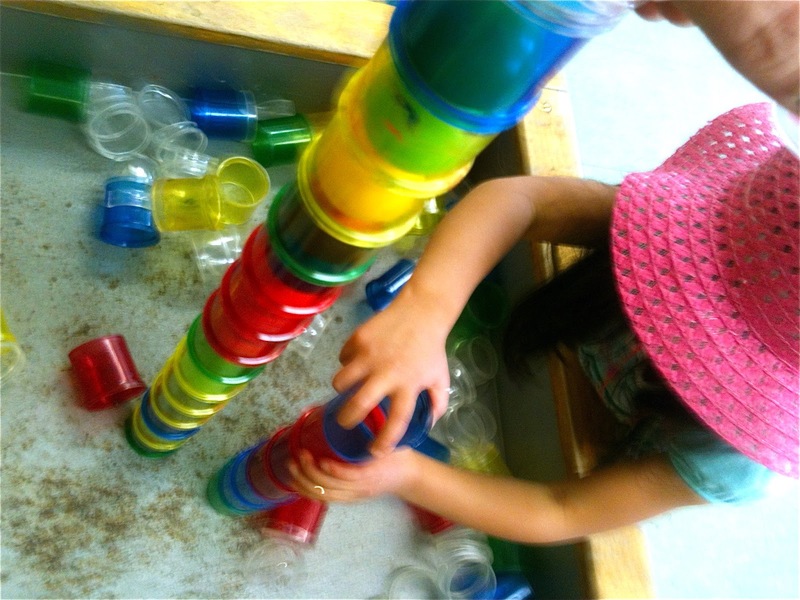 As a preschool teacher, I can tell you that a high-quality preschool gives children the opportunity to learn in the way humans have evolved to learn: through inquiry, experimentation, and to generally investigate the world through free play in a safe, loving environment. The opportunity to explore our world and the people we find there lays the groundwork for the development of vital academic and social skills. This is what all of the research tells us about how young children learn. In the fashion of a dilettante, however, City Councilman Tim Burgess, a man with no experience in early childhood education, has teamed up with the cast of characters that brought our public schools misguided corporate-style education “reform” initiatives like No Child Left Behind, Common Core, and their attendant regime of high-stakes standardized testing. If it passes, Proposition 1B will be a serving of Dickensian swill for our city’s four-year-olds. 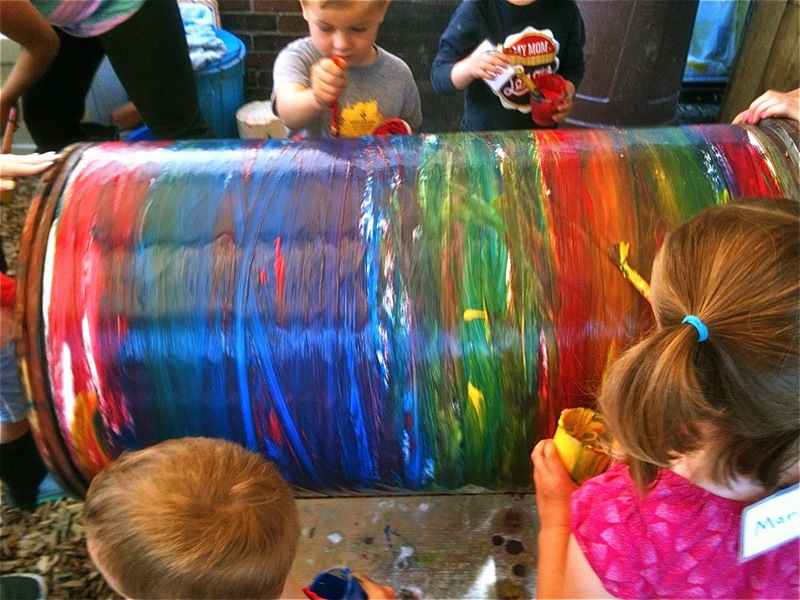 This is a scripted, drill-and-kill factory model of early childhood education of the sort that has been widely maligned by teachers and early childhood experts: not only is it developmentally inappropriate, but it causes young children to hate school at an age when most can’t wait to get into the classroom. In fact, Proposition 1B pointedly excludes education professionals. Seattle Public Schools have not been consulted and the input of preschool teachers has been ignored (with the exception of the anti-union group Teachers United). The measure will create a new preschool education bureaucracy to be supervised by city hall staffers and run, apparently, by for-profit corporations according to the dictates of billionaires like Bill Gates (Microsoft), Jeff Bezos (Amazon), and others who are committed to the wholesale privatization of public schools, removing them from democratic control and turning them into supply side vocational training centers paid for by taxpayers. Perhaps the sickest part of Proposition 1B is that four-year-olds in this corporatized program will be subjected to high stakes standardized tests of the kind that have been widely discredited, especially when used to evaluate our youngest citizens. Time and again, researchers have demonstrated that these tests fail to gauge anything meaningful about what children have learned, while subjecting them to brain-damaging stress. In my years of teaching, I’ve never met a teacher who supports the sort of scripted rote-memorization methods and testing envisioned by 1B. Its supporters are largely education dilettantes and, of course, private for-profit corporations such as Acelero, the KIPP charter school chain, Pearson Education and others that stand to reap millions off the bent backs of preschoolers as they labor in their test score mines. Childhood should be a time of play and exploration, which is exactly what the brains of young children are designed for. 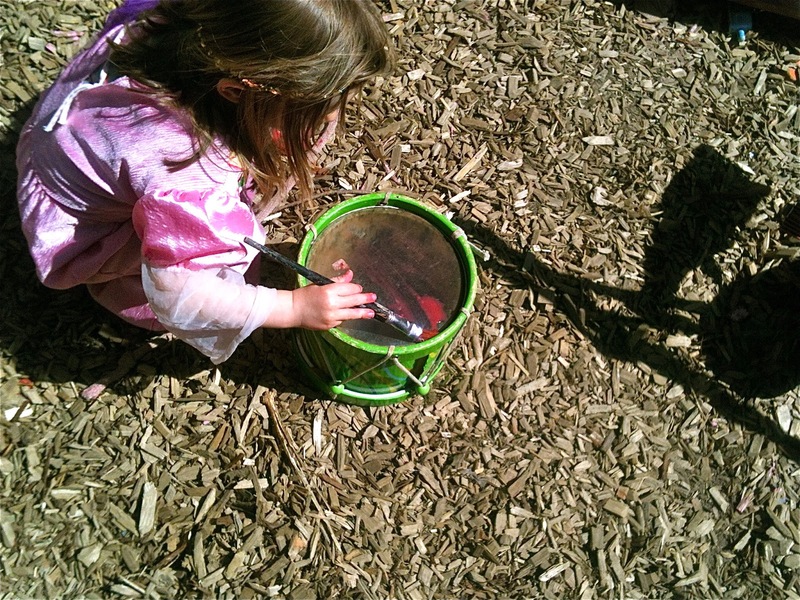 Childhood should be a time of discovery, a time to embrace the joy of learning in our own way and at our own pace. This is what all the great early childhood pioneers like John Dewey, Maria Montessori, Jean Piget, and Lev Vygotsky knew about “high quality” early childhood education. This is what all the current researchers continue to confirm today. And this is what those of us who teacher preschoolers see every day. Yet Proposition 1B specifically excludes the programs like Montessori, Waldorf, and Reggio Emilia that are based upon this knowledge. All children deserve high quality preschool education, but Proposition 1B will deliver nothing like “high quality” because it is not about children, it is about profiting off the sweat of our youngest citizens. Please vote No. If you would like to read more, the Seattle Education blog has been doing some outstanding reporting on Proposition 1B, here and here. "That's What's Cool, Teacher Tom"
When Do The Children Spend Time Learning? What To Say Instead Of "Good Job"